Nissan PR mention that they have sold a good number of cars in Europe, And that ‘s good for the UK as they come from Sunderland. 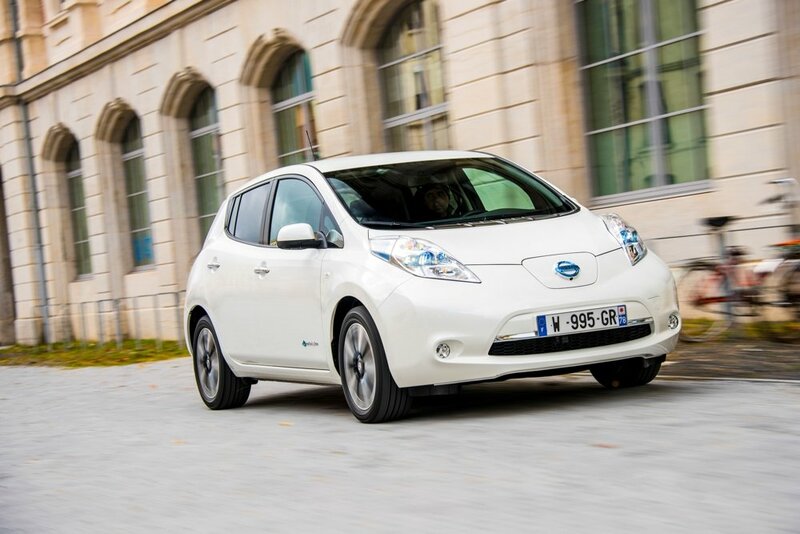 European Nissan LEAF sales have risen by 10 percent in the first half of FY16 compared with the same period last year, Nissan has announced today. The latest figures also reveal that there are more than 75,000 Nissan EV owners in Europe as the electric vehicle revolution speeds up across the continent. This momentous milestone follows the recent announcement that 260,000 Nissan EVs have been sold worldwide, reinforcing Nissan’s vision for a zero-emission future as the brand continues to make Intelligent Mobility a reality. EV sales have been further bolstered by strong e-NV200 sales year-to-date FY16 – up 34 percent year-on-year. Increased demand for Nissan’s zero-emission e-NV200 from businesses across Europe comes as the brand celebrates the extension of its class-leading five-year warranty to include the all-electric LCV. Gareth Dunsmore, Director of Electric Vehicles at Nissan Europe, said: “Europe’s electric vehicle market is growing at an extraordinary pace as motorists across the continent switch on to the multiple benefits that electric mobility provides. With the LEAF’s 30kWh battery now offering 155 miles in driving range and as many as 4,000 quick chargers installed across Europe, driving an electric car is more practical and enjoyable than ever before, providing an easy gateway to a zero-emission future. Nissan is dedicated to delivering a smarter, more sustainable future, with customers across the globe having driven more than 2.5 billion electric miles. Nissan has confirmed it will build both the new Qashqai and the X-Trail SUV at its Sunderland plant thanks to government “support and assurances”. The Japanese company’s commitment to Britain’s biggest car plant had been in doubt following the EU referendum. Nissan’s decision is the first major development for the car industry since the Brexit vote and secures 7,000 jobs. A Nissan spokesman said making the X-Trail at Sunderland could lead to hundreds of new jobs being created in the coming years. Carlos Ghosn, Nissan chief executive, said he welcomed Prime Minister Theresa May’s “commitment to the automotive industry in Britain”. Only last month, he warned that Nissan might not invest in the Sunderland plant unless the government guaranteed compensation for costs related to any new trade tariffs resulting from Brexit. So it looks like his thinly veiled threat paid off. The decision to build the new model at Britain’s largest car plant, rather than elsewhere in Europe, was won with what a source described as a package of support pledged by May’s government to counter any damage from leaving the EU. “This vote of confidence (or bribery – ED) shows Britain is open for business and that we remain an outward-looking, world-leading nation,” May said in a statement. Britain’s big carmakers are nearly all foreign-owned and ship more than half of their exports to the other 27 countries in the European Union. They had collectively warned that the June vote would make Britain a less-attractive destination for foreign investment, and Nissan in particular had threatened to halt spending unless the government guaranteed it would be protected. Sunderland, in the north-east of England, built almost one in three of Britain’s cars last year. The decision over the new model was crucial to the fate of its 7,000 workers. Chief Executive Carlos Ghosn, who met May earlier this month, said the British government had promised to ensure the competitiveness of the plant, convincing the firm to build the next version of the Qashqai there and also start production of a new SUV, the X-Trail. I am pleased to announce that Nissan will continue to invest in Sunderland. Our employees there continue to make the plant a globally competitive powerhouse, producing high-quality, high-value products every day,” said Carlos Ghosn, Chairman and CEO of Nissan. “The support and assurances of the U.K. government enabled us to decide that the next-generation Qashqai and X-Trail will be produced at Sunderland. I welcome British Prime Minister Theresa May’s commitment to the automotive industry in Britain and to the development of an overall industrial strategy. Ghosn said. Japan’s Nissan is part of an alliance with French carmaker Renault, its largest shareholder. Ghosn runs both companies. We don’t know the details of the “support and assurance” that Nissan extracted from the UK government. But it was clearly enough to secure a commitment from Nissan to build not one, but two new cars at the Sunderland plant. The promise to shield Nissan from the impact of Brexit will not be lost on rival manufacturers, both those already in the UK as well as those that might be tempted to come. Will other carmakers with big investment decisions to make now favour Britain? It’s possible – but now only after securing a few government guarantees. The UK car industry has been vocal in warning about the impact of an exit from the single market. Although the cheaper pound makes their exports more attractive, a hard Brexit and the prospect of trade tariffs will add to their costs. It seems likely that the government has now promised some sort of financial support to cushion Nissan against such an impact. That will be controversial, of course. But once outside the EU, it won’t necessarily be illegal. The Renault-Nissan Alliance will provide a fleet of 50 all-electric vehicles as the official passenger-car provider for the United Nation’s COP22 Climate Conference in Marrakech, Morocco. The fully electric fleet will shuttle delegates. More than 25,000 participants from 195 countries are expected to attend the annual climate summit during Nov. 7-18. It marks the second time the UN will use a zero-emission shuttle fleet in support of public transport at one of its major conferences. The COP22 fleet will feature the Renault ZOE, the Nissan LEAF compact car and the seven-seat Nissan e-NV200 van. The vehicles will be available to shuttle delegates 24 hours, seven days a week to key venues at the conference, as a complement to public transportation. In addition, the Renault-Nissan’s Tangier, Morocco, plant is designed to move towards “zero CO2” emissions through the use of renewable resources, for thermal energy produced on site, as well as its purchased electricity. The plant began operations in 2012, and its approach remains unique in the automobile industry. An article in this weeks Auto Express includes an interview with Nissan Senior vice-president Shiro Nakamura who acknowledged that a new modular platform currently under development will be able to adopt conventional and alternative powertrains – and that this will be key to Nissan’s plan to broaden its EV line-up. 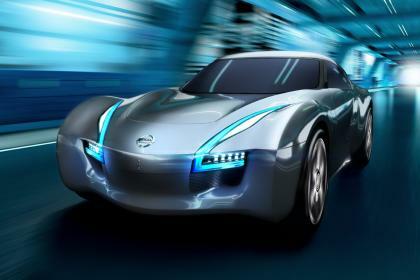 Nissan’s interest in introducing an all-electric sports car extends back to the 2011 Geneva Motor Show, when the maker revealed the Esflow concept. The rear-wheel-drive electric car produced a modest 107bhp, but could get from 0-62mph in five seconds.There are ongoing discussions within Nissan regarding the design and layout of the new modular platform that’ll underpin the new models. The Leaf’s batteries are currently housed under the floor, which is good for weight distribution but raises the floor level – not something you want in an electric sports car, according to Nakamura. “For a crossover, we don’t care about floor height because the model already has a high ground clearance, [but] a sports car you have to make as low as possible,” he said. Engineers have been experimenting with placing the batteries under the rear seats and even running them down the transmission tunnel to minimise the amount by which the floor would need to be raised. Nakamura said the research is “part of the study we’re doing”. Nissan also sees the modular platform’s development as a way of helping reduce the cost of EV tech, rather than creating several bespoke architectures for the various powertrain options the company offers. Nakamura explained that it would be “maybe five years” before we’re likely to see the first production model spun from the new platform. 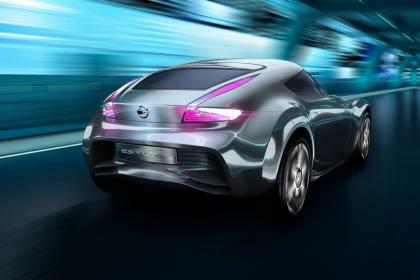 Nissan is likelyto preview any production vehicle with a concept car ahead of that, however. We say bring them on. The site details sales of BEV and PHEV that Battery and Plug-In Hybrid electric cars by country by year and seems to be updated monthly. The site is an European Commission funded initiative which provides open and free information, amongst others to support Member States with the implementation of EU Directive 2014/94 on the deployment of alternative fuels infrastructure. What has sold well so far in 2016? European sales of PEV, electric cars and plug-in hybrids totaled 46,957 units between January and March 2016, giving growth of 29 percent over the same period last year. The total of 23,160 sales pushed plug-in cars past the 1-percent barrier in terms of total European new-car sales. In the midst of that push, there was also a lead change among battery-electric cars. The Renault Zoe had led European electric-car sales in January and February, but it was surpassed by its corporate cousin, the Nissan Leaf, in March. Nissan’s electric car racked up 6,168 sales in the first three months of 2016, giving it 13.1 percent of the market. The Renault Zoe was quite close behind, however, with 5,578 sales. The Tesla Model S took third place, with 3,378 sales. Tesla apparently made up some ground in March, as the Model S had been ranked fourth for the January-February period. Further behind were two German electric cars—the Volkswagen e-Golf with 2,228 sales, and the BMW i3 with 1,567 sales. They were followed by the Kia Soul EV (1,065 sales) and Mercedes-Benz B250e (740 sales). The bottom three cars in the top 10 remained the Volkswagen e-Up and the Peugeot iOn and Citroën C-Zero. The e-Up, which racked up 615 sales, is an electric version of the VW Up city car. The Peugeot (557 sales) and Citroën (423 sales) are both re-badged versions of the Mitsubishi i-MiEV. The Mitsubishi Outlander Plug-In Hybrid crossover remained the best-selling plug-in hybrid in Europe through the end of March. It achieved 6,159 sales in the first three months of 2016, accounting for 13.1 percent of the market. That put the Mitsubishi well ahead of the second-place Volkswagen Golf GTE, which only reached 2,979 sales. The Volvo XC90 T8 took third place, with 2,661 sales. It was followed by the Audi A3 Sportback e-tron (2,252 sales) and Volkswagen Passat GTE (1,593 sales). Further down the list were the BMW X5 xDrive 40e (1,576 sales) and Mercedes-Benz C350e (1,275 sales). Closer to the bottom was the BMW i3 REx, (range extender, or small engine) which is considered a plug-in hybrid for the purposes of the EAFO tally. The range-extended i3 model achieved just 1,030 sales—far lower than its all-electric counterpart. In ninth place was Volvo’s second plug-in hybrid, the V60 Twin Engine, with 902 sales. Finally, the BMW 225xe Active Tourer closed out the top 10 plug-in hybrids with 770 sales. Interesting the sales volumes for the best setting BEV and PHEV are very similar with 6,168 Leafs compared to 6,159 Outlanders. Together the Leaf and Outlander comprise over a quarter of all alternative fuel vehicles sales in Europe. Pure electric cars are focused on Norway and France with 26% and 24% of the market with Germany with 12% and the UK with 10%. For Plug In Hybrids the Netherlands commands 35% of the market with the UK second at 18% with Germany and Norway at 11% each.